The IBM WebSphere Application Server version 8.0 was released a few weeks ago, and wsadminlib helped deliver it. Wsadminlib was used internally within IBM as part of many automated testcases. This included the original prototypes, all the betas, and the final verifications. So as you move forward migrating from prior versions of WAS to V8, you may continue using wsadminlib knowing it performed yeoman's service throughout the latest release's development and delivery. wsadminlib.py is a python file containing hundreds of methods to help simplify configuring the IBM WebSphere Application Server product using scripting. This blog gives hints and tips on how to use wsadminlib.py. It also shares insight to how and why wsadminlib came to be. The author of this blog is a software developer at IBM. He is one of the original co-authors and one of the 30+ current contributors to wsadminlib.py. 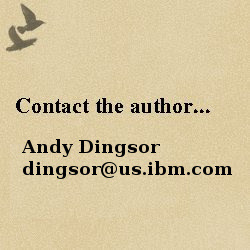 wsadminlib is provided on an 'as is' basis at IBM developerWorks, as sample code. It is not a supported product. The postings on this blog are the author's own opinions. They do not necessarily represent IBM's positions, strategies, or opinions.